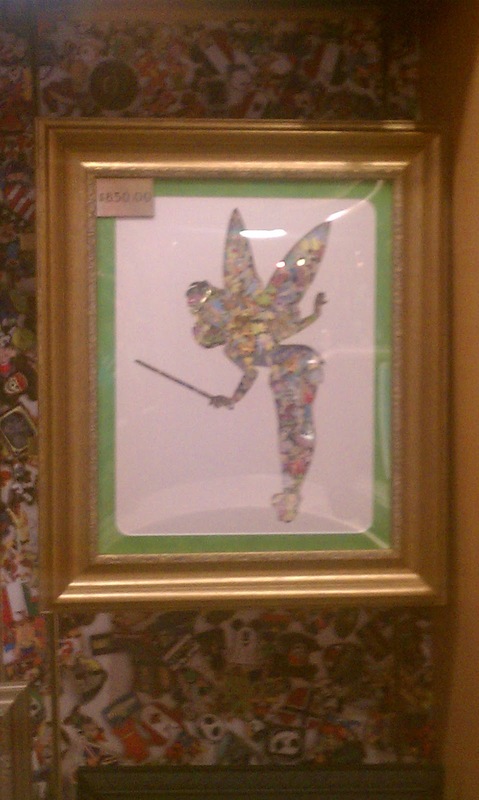 The other day while I was at Walt Disney World, I saw these cool new pieces of art that are now being sold throughout the Disney properties. I just had to share them with you, they are such a great idea! I apologize about the pictures! It was late in the evening but I just had to take some quick shots for inspiration later. 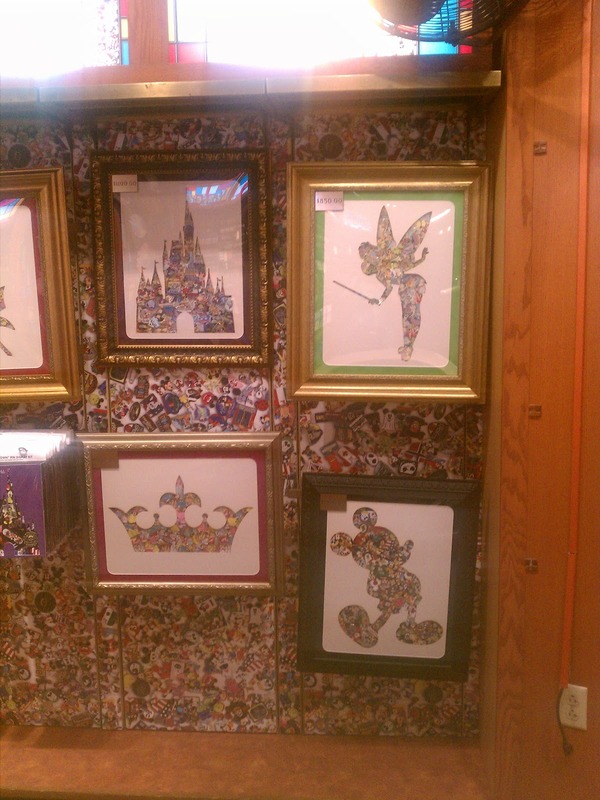 What they did was make a collage of Disney Pins, the ones people buy, trade and collect, and pin them to one board. Then it looks like they take a stencil cut out. or some sort of overlay of paper of some sort, and put it over the pins creating the shape. I thought that was just such a cool idea! Obviously it would be quite expensive to try and do this with Disney pins to the shape of your choice, but this idea could translate in to all sorts of other mediums. These things were well into the several hundred dollars and up in the stores. I will be putting something like on my “to do list” for sure, but for WAY less! Hope you thought this was as cool as I did! And maybe even got some inspiration!